Making your house new from time to time is quite necessary. Redecorating your house as per our choices create a cosy feeling. 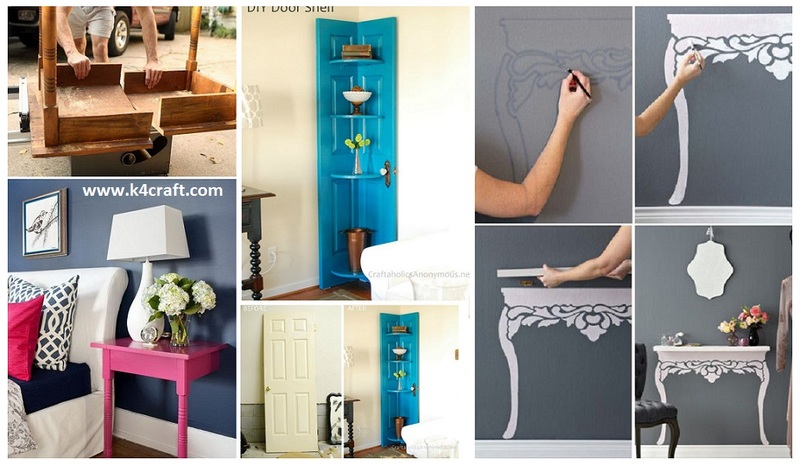 There are many ways of decorating our house with wall decors, wall hangings , lamps and many more. Today we are going to make crafts out of paper that can be used for furnishing our houses. Why late, let us begin. Home decoration is not complete without flowers. They can be placed on wall or in a vase. The paper flowers never die out and always attractive. There are wide of techniques that can be used to make different types of flowers. The flower we are going to see is super easy to make. We need coloured square papers, cardboard, glue and scissors. First fold the square colour papers which are about 5×5 cm. Fold them into cones of equal size and glue the ends. Repeat the procedure with all the square sheets. Now let us start the assembly. Cut the cardboard into circle of radius 3cm. Stick the peak of cone along the circumference using glue. Stick the cones in circles and fill the cardboard. Make sure that only the peak part is glued to cardboard. Our dahlia is done. Rosette flowers are made using simple method that we used in our childhood to make paper fans. Take a rectangular colour paper of 3×29cm and score lines at equal distance of 1cm using pencil and scale. Now make the accordion fold that is the fold used for making paper fans along the scored lines. Glue the last and first folds. Now make it flat by pressing gently on top part .stick a circular patterned paper at centre. Make some flowers in this way using different colours . Rosette flowers are ready to decorate your wall. The technique that goes into making this ball is amazing. This wall hanging has been inspiring many people to try. It is very simple. We need white and blue colour A4 sheets, glue, scissors and thread. Let us start making by first cutting the papers into circles. Here is a easy way to cut circles. Fold the A4 sheet horizontally. Again repeat the process two more times till the length becomes around 1/3rd of original length. Take a quarter circle stencil whose radius is approximately equal to length of folded sheet. Cut along the curve. Repeat the process with all the sheets. Now when we open the sheets we have complete circles. We require 5 white circles and 5 blue circles. Fold the quarter circles such that three equal width sections are produced. When the circle is opened now we have 5 folded edges. To make the honey comb ,fold the circle into half that is semicircle. Glue the inner part of circle only along 2nd and 4th lines. Repeat the process with all the circles. Now apply glue along 1st,3rd and 5th line of the folds on one outer side and glue the alternate coloured semi circles. After sticking all the papers apply glue completely on the last semicircle and close the honey comb. Using a thread create the hanging. Make two or three of these and hang from your room ceiling. Paper honeycombs fill the room with happy energy because of their colours and weaving structure. Coloured tissue papers can be used for making flowers that look exactly like marigold structure. 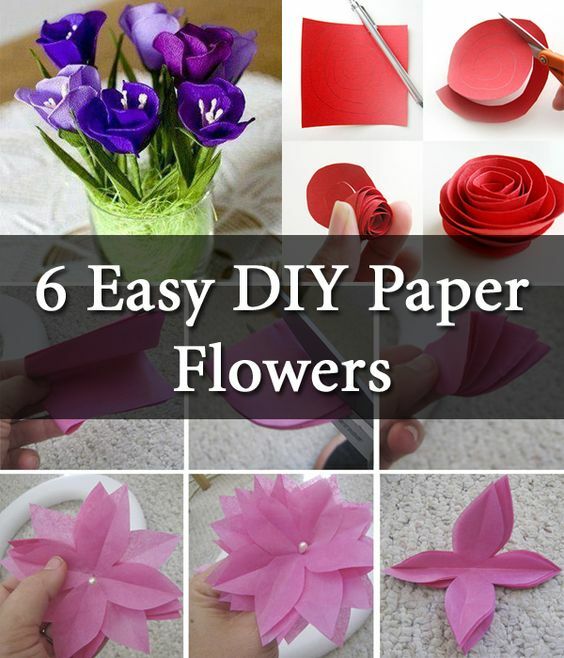 The first home decoration we are going to make using tissue papers are round flowers. The material required are coloured tissue papers, coloured paper, craft wire and scissors. Take 4×32cm tissue papers. Place 4 tissue papers one over the other. Fold all the tissue papers together using accordion fold. Tie the craft wire exactly at the middle and twist the wire at bottom to seal. Open up all the tissue papers and spread them using your finger tips. Make 4 such flowers. Now combine all the flowers to make a single flower by placing them adjacent to each other one by one and twist the craft wire that acts as handle. Spread the tissue papers so that it resembles a single flower. Trim the flower into round shape using scissors. Take a 3×12cm green coloured paper and cut into shape of leaf. Now to cover the stem of flower, take 7×30cm paper and roll from one corner diagonally and pass the craft wire stem through the roll. Stick the leaf to the paper stem. Make these flowers using different colour tissue papers and place them in a vase. These flowers give a fresh look to your house. Crafts put life into house. Using the technique we used for making tissue flowers we are going to make clouds. Bring the sky into your room with this craft work. Take large white tissue papers and stack them up. Fold 1 and half inch accordion folds. Using the craft wire tie a knot at the centre. Take another long wire and tie at an end of centre wire which is used for hanging.. Cut the ends of the folds into curve. Open up all the tissue papers and spread the tissue papers. To create showers, cut raindrops out of coloured papers and stick them to a long wire at regular intervals. Make two of these and tie the thread to the bottom part of cloud. Hang the clouds from the ceiling and enjoy. These days floral letters are in trend. Letters made up of paper flowers are quite attractive. Let us see how to make these. We need cardboard, scissors, coloured tissue papers, glue and craft wire. 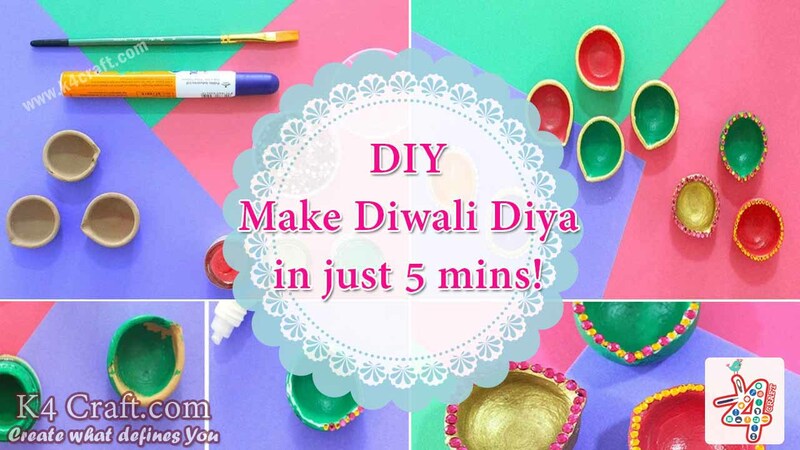 Take 5×5cm coloured tissue papers. Stack them up and make flowers using accordion folds. After tying the craft wire at the centre, cut the curve at the ends and open the flower. In this way, make the flowers of your choice of colour. Cut the cardboard in the shape of alphabet. With tge help of glue stick the flowers and cover the cardboard with flowers. Origami is the art of making crafts without using scissors and glue. The only thing we need is square colour paper. Fold the square paper into half vertically and horizontally. Then open the square and fold the corners to the centre. Now , unfold the paper and fold it diagonally such that the top corner touches the bottom corner. Crease only half way from right corner to the centre. We are almost done, unfold the paper and turn to the other side and press on the centre. Bring the diagonally folded right corner to meet the top corner and fold the triangle into half to hold the shape. Press inwards the other triangular sides and our pyramid is ready. Make pyramids using different colours and stick them on the canvas and decorate your wall. Tiny lampshades made of papers can be used to decorate the LEDs of wired lights. To make the lampshades, cut the coloured papers into strips. Stick the strips at the centres, each align vertically, horizontally and diagonally. Join the ends of the strips using glue . The lampshade is ready. Punch a hole at top and insert the LED of wired lights. Make lampshades using different coloured papers and insert the LEDs. Hang the garland and embellish your house. If we go to shops for buying decors we may not find the right one but creating stuff on our own opens way to recreate things as per our choice. 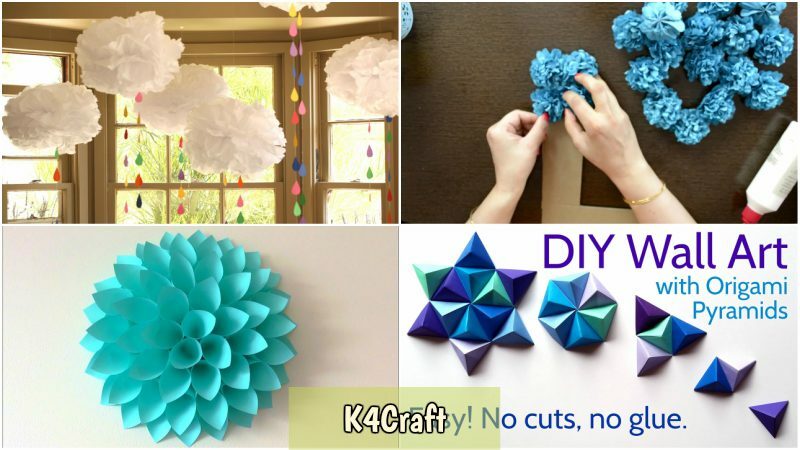 Do try these amazing paper crafts at home and furnish your house.